Cleaning windows are a must do chore in homes, as dirty windows can not only indicate how house proud you are, but if they are dirty, you will find the light coming into your home becoming less. In commercial establishments, dirty windows and storefronts can create a poor impression on customers and visitors and affect business. Subconciously dirty windows causes inward stress. Keeping your home and windows clean routinely is simply a great way of avoiding mental stress in your life. Windows in your Puyallup property, be it a home, an office or other need to be cleaned both from the inside and the outside. It can be quite beneficial to utilize the services of Puyallup agencies who specialize in such work. Clean environment in offices and other commercial places leads to a better working environment. Dirty windows can even discourage customers, as an indication of the business practices being followed. 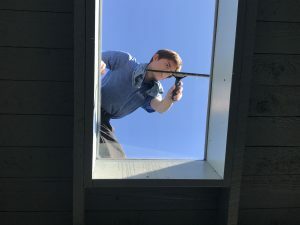 Where buildings are leased or rented, it can often be a condition of the lease that the lessee is required to maintain the property cleaned, and this will always include windows. Window cleaning can also require you to clean frames and sills that are dirty, take care of screens that have accumulated grime and dirt, and especially clean glass that has spots or smears. It is important that before any glass is cleaned, all the dirt and grime is first brushed of before any water or solution is applied for cleaning the window glass. If you do not do this, the dirt and grime will combine with the solutions being used and make more of a mess. Factors like climate can come into play when you decide to clean the windows. It can help if window cleaning is made part of a regular schedule of cleaning in homes, so that dirt and spots are never left unattended for days together. While you can always use commercial window cleaners, a combination of water, vinegar, and soap can clean glasses just as effectively. Never use any abrasive materials as they can cause scratches on the glass. Give as much importance to cleaning the frames and sills of windows as you give the glass. Restore Cleaning offers residential and commercial window cleaning. If you are new to having your windows professionally cleaned, the first service we will likely need to perform is a deep clean. In this service we will use special tools to remove all really stuck on objects such as artillery fungus, paint specs, construction glue, bug remnants, and more that simply will not come off with standard cleaning methods. We recommend a recurring clean every 3 months to 1 year or more often if you need. 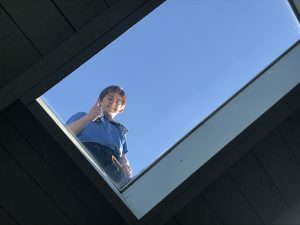 After about 3 months you will likely start to notice the windows becoming dirty again, but it entirely depends on site location and environment. Trust us with your windows and we’ll keep them sparkling for life. Window cleaning can be a chore, but sparkling windows will always be a delight and can greatly improve the looks of your property.